I shared my website link on facebook and I see a question mark besides my name. When I point to that question mark, there is an alt text that I show you in the picture. What’s this? 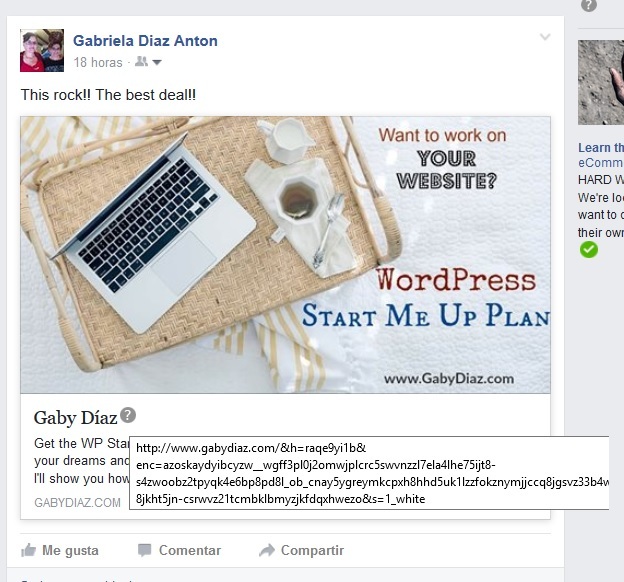 It happens when I share it FROM my website facebook sharing button and when I paste the link on facebook. And how to get rid off this question mark? I will ask in their forum. I asked facebook forum and got no aswer yet, but… I figured it out. It’s McAfee WebAdvisor complement that it’s installed in Firefox when I installed MacAfee antivirus. I deactivated the complement and the question mark was gone. That’s it. It is only visible on my browser. So, it doesn’t matter if I have it activated. It’s only me who sees it.